During the last 20 years Turkey has a booming yacht building, yacht charter and yachts for sale industry , from Tuzla istanbul to Black sea coast as well as southern and soutwestern Turkish coastlines are full of boatyards , large or small , some without any class using classic building techniques some modern design, supervised yacht building with world recognized classification societies such as Lloyd’s or Rina. New generation Gulets are mostly built with epoxy laminated mahogany or steel hulls and are world recognized strong and seaworthy yachts for unlimited circumnavigation. usually twin engines to assure an average 12 knots average speed and fully loaded with modern amenities which can be compared to modern motoryachts. 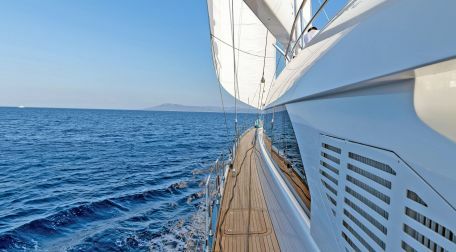 Turkey happens to be the best market for quality yachts for sale since Motoryachts , Gulets and large sailing yachts can be built at your hearts content or can be purchased as preowned yahts for sale.